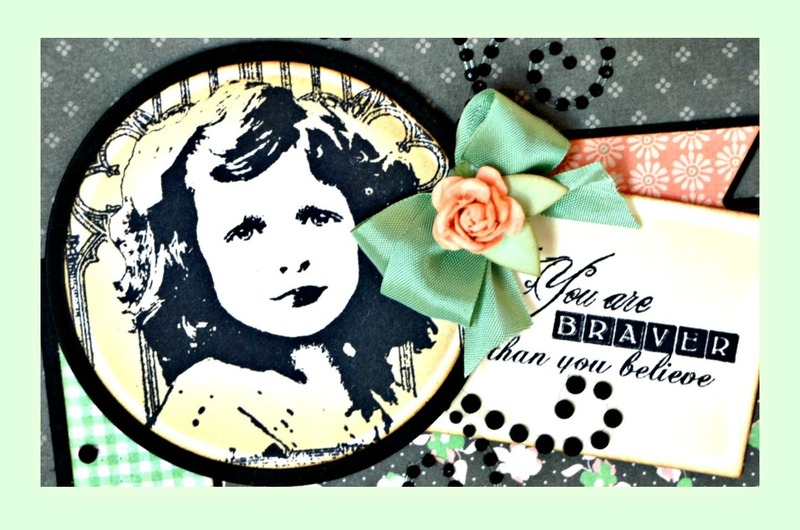 Inspired by the Mojo Monday Sketch Challenge, yet going slightly astray to rearrange a few panels, I created my card using Artistic Outpost stamps, Bo Bunny pattern paper and Our Daily Bread Designs Custom Dies. 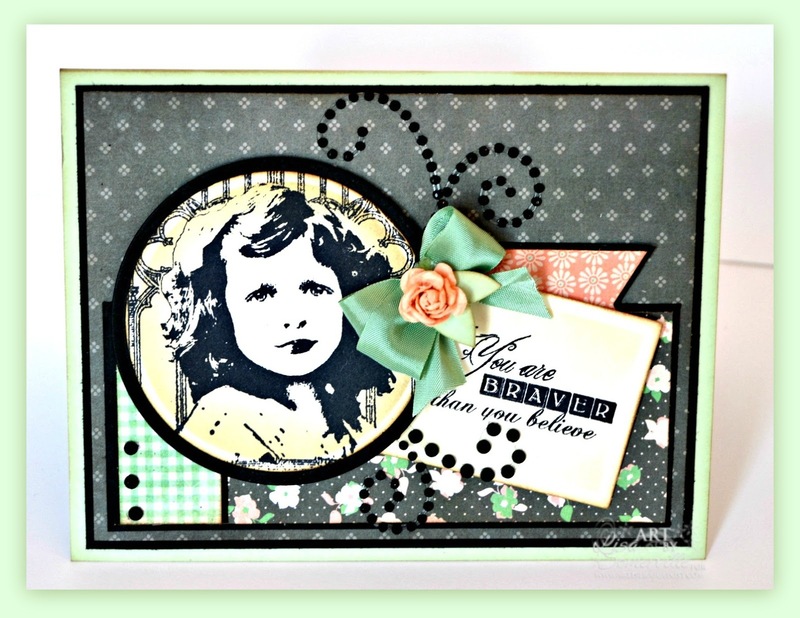 The sweet little girl image is from the Think and Wonder plate, stamped in Black Archival on Vanilla card stock, then die cut using Spellbinders Circle Dies and layered on a Black circle. I stamped a portion of one of the sentiments from the Think and Wonder plate in Black Archival on Vanilla card stock and die cut using Our Daily Bread Designs Custom Recipe Card and Tags Dies. Both stamped panels are sponged with Ranger Gathered Twigs Distress Ink. To embellish, I added Zva Creative Crystal Gems a Mini Rose flower that I added die cut leaves to using the ODBD Custom Fancy Foliage Dies and Green Seam Binding. ... and your card outstrips the sketch by a mile. The design creates an emotion- which can be hard to do with a card. You nailed it! Glad to have found you through the Mojo Monday linky. Love your card and the saying. The comment above is so nice, great to be appreciated for all you share.